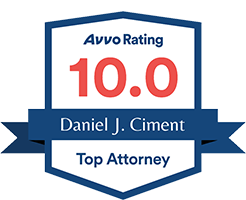 I met with Daniel Ciment at one appointment and he explained everything I needed to know about the handling of my law suit and he answered all of my questions. He reached a settlement agreement with the plaintiff within four hours that was a very low amount for me to pay. I am very pleased with his knowledge of this area of the law and the professionalism with which he took care of my situation.